If you can dream it, we can custom build it! We are dedicated to helping our clients design the ultimate backyard oasis with our knowledge and 100’s of outdoor kitchen ideas. The possibilities are endless from simple to extravagant. Our outdoor kitchen designs can include built-in grills, refrigerators, and even an outdoor pizza oven! Call today for a free consultation and estimate. There are myriads of materials to choose from for every aspect of your outdoor kitchen design. Transform your outdoor grilling space with a gorgeous stainless steel grill and appliances. There are numerous options for counter top materials and custom fireplace or pizza oven. 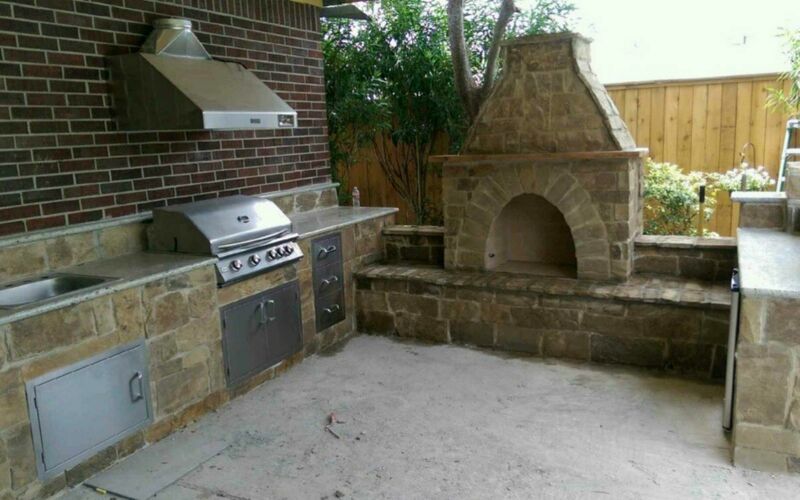 Our outdoor kitchen contractor Houston TX crew will help you turn your outdoor kitchen ideas into a reality.